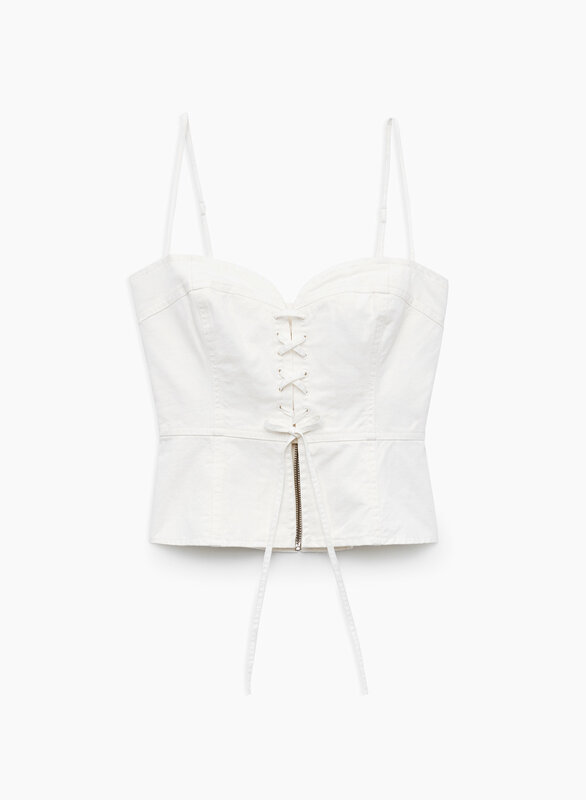 This corset top is made with 100% cotton that’s soft and slightly structured. A sweetheart neckline and cinched waist make for a feminine silhouette. Opt for a more casual feel by slipping a white tee underneath.